Topaz Electric Insulated throat component 90-degree liquid-tight connector of trade size 2-inches, features malleable iron construction. It measures 3.88-Inch x 2.94-Inch. Insulated throat of the connector protects conductors from insulation damage. 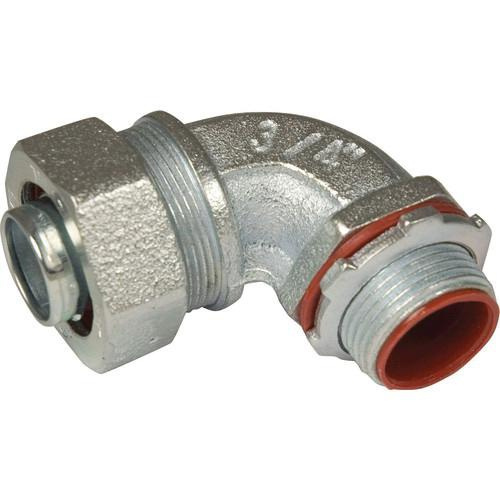 Connector with 0.94-Inch thread length, features MNPT connection. It has compact slim diameter with small turning radius.